Nautor Swan have designed a fast, comfortable and competitive new cruiser-racer. 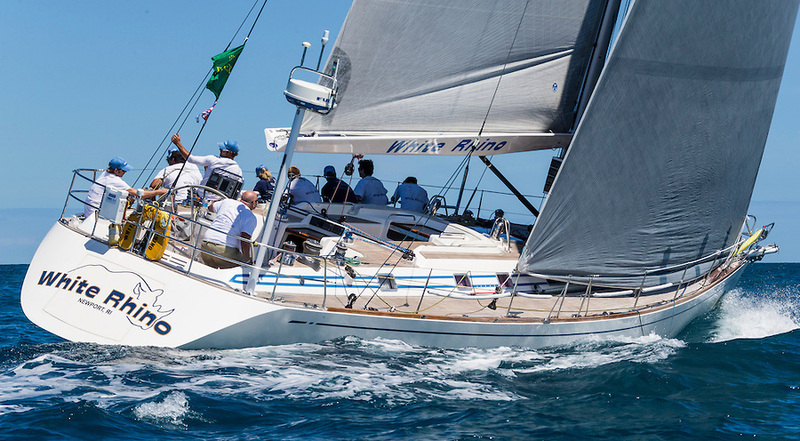 Emma, a new Swan 60, finished second at the Swan Cup in Sardinia. 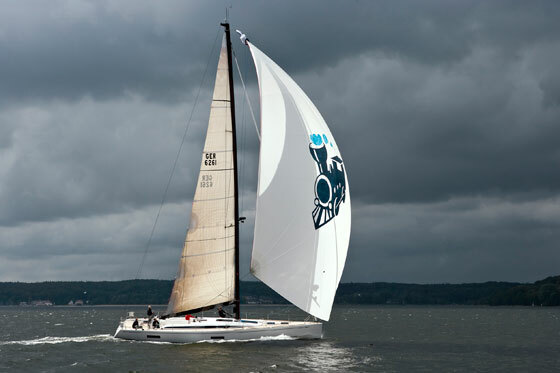 The latest version of the Swan 60 is turning heads, and rightly so. 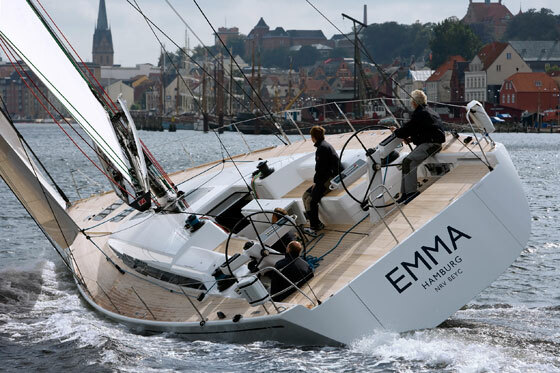 On paper, it has a better racing set up than the previous model of the same name, and at this year’s Swan Cup in Sardinia Johann Killinger’s new Emma took a credible second place to the much larger Swan 90, DSK Pioneer. In a fleet of 21 Swan Maxis, Emma was punching well above her weight. 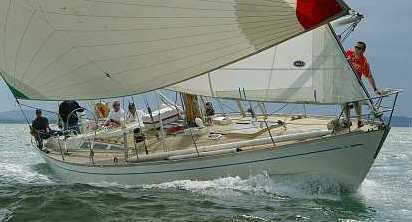 Emma’s navigator is Mike Broughton, who has raced on nearly all of the latest Swan range from the Swan 45 to the Swan 112. Broughton is very complimentary about the Swan 60. 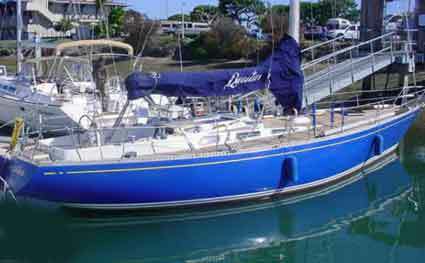 “There are excellent systems onboard, including the Magic-Trim mainsheet which allows the main to be dumped if a big bear away is required. And there are some very handy remote-control systems that make the boat easy to cruise short-handed. All of the winches are electric. There is one winch handle but that is primarily used as the throttle lever for the engine. 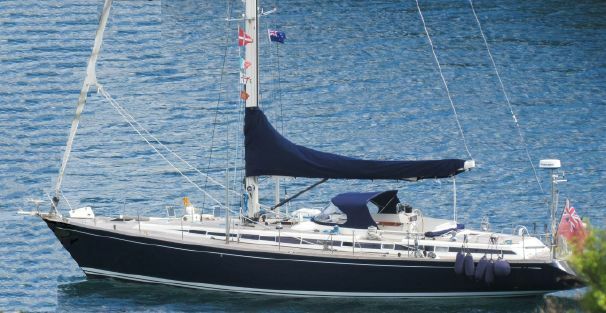 The assymetrical spinnaker has significantly more area than the previous Swan 601. 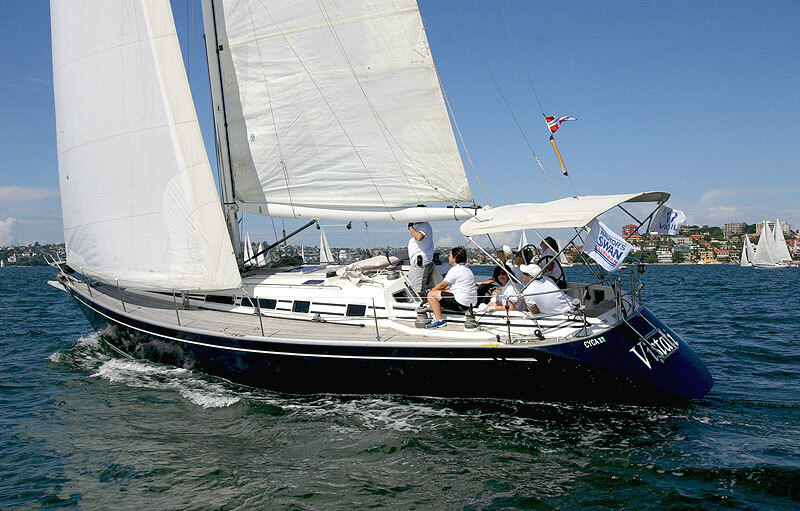 The previous model, the Swan 601, was launched in 2004. It was one of Swan’s first forays into the lighter high performance arena. The latest Swan 60 is 51cm longer, 61cm wider, and 1,700 kg heavier. The carbon rig is 1.71 metres taller. Mainsail measurements are about the same but the asymmetric spinnaker has increased significantly. Whilst the new Swan 60 has more sail area and a longer water line length, the increase in stability from a wider beam and more ballast (and some clever rating optimization) makes the new Swan 60 actually rate lower than the Swan 601—even though it is arguably faster. Racing sailors will appreciate the carbon hull, mast and PBO rigging. The flared topsides are ideal for aggressive hiking. 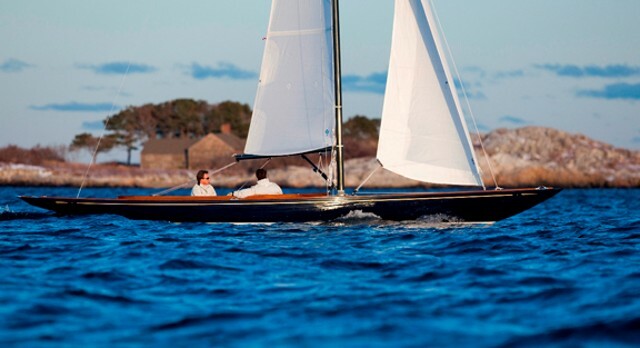 But racing aesthetics aside, this is a yacht that can really be called a cruiser-racer. With the fully electronic winch option, the Swan 60 can be comfortably sailed by three people. 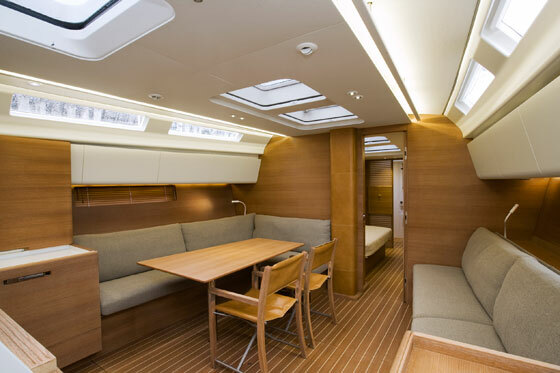 The spacious cockpit easily seats ten people who will enjoy the champagne sailing. When the yacht is not underway, it is possible to access the garage at the stern of the yacht. The garage has space to house a tender and when open provides another swim platform in matching teak. Below decks the yacht has been finished to the highest level, with furnishings that are true to the Italian brand’s stylish approach. But it also has some very practical ideas such as a compact galley that is really well thought out. There is an optional microwave and espresso machine. All three cabins have an en-suite bathroom; both the rear cabins have twin beds that can easily be turned into doubles. 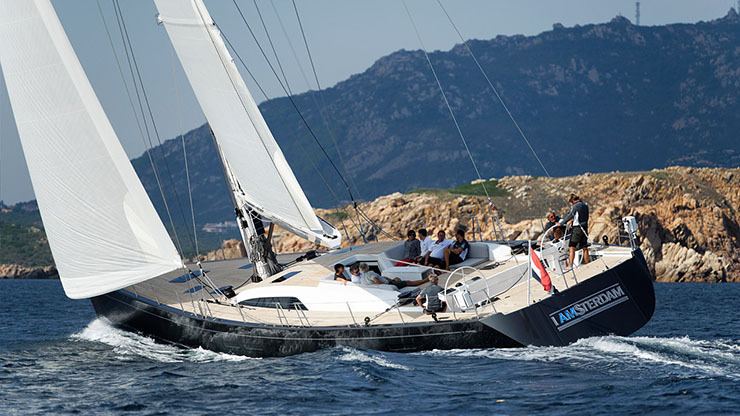 The Swan 60 list price is from 2,300,00 Euros Ex-VAT and factory. 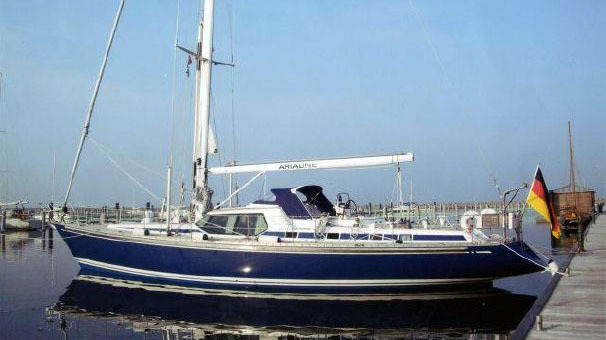 Swan Nautor launched the boat in 2009 and it is understood that three have been sold.